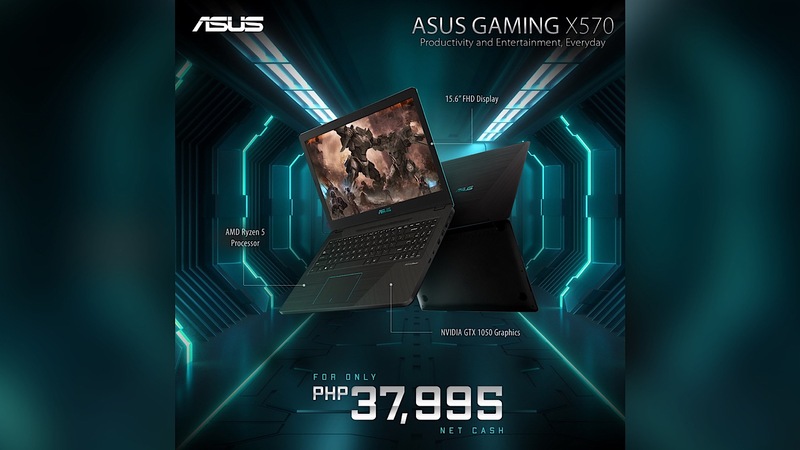 If you’re looking for a notebook for gaming, ASUS has announced a new gaming notebook in the market and it might not belong in the TUF Gaming or ROG series, the ASUS X570ZD still got some power inside as the laptop is powered by the latest AMD Ryzen R5-2500U Quad-Core processor, 4GB RAM, and an NVIDIA GeForce GTX 1050 GPU inside. There’s a 15.6-inch Full HD display too so you’ll know that the display isn’t crappy and it is still perfect for casual gamers who are on a budget. You can also get the notebook and upgrade it as the X570ZD has a slot for M.2 SATA SSD and it is capable of up to 16GB RAM. Of course, the notebook comes with 802.11ac Wi-Fi, USB 3.1 Type C Gen 1, USB 3.0 and USB 2.0. The ASUS Gaming X570ZD-DM209T will be available this January 19, 2019 for Php37,995. If you’re buying this, I highly suggest that you get an upgrade for the RAM and get an SSD.